Why don’t more of us buy British? Having looked around the guitar scene in the last year or so and visited guitar shows in London, Birmingham and Bristol, it is great to see so many ‘British’ makers around. From acoustics to bass to electric you can find a great choice out there. A number of British firms have design here and manufacturing overseas – Faith, Manson, Fret-King, Tanglewood, Vintage…much like Vox, Orange and Marshall. But here we are concerned with those firms that design, make and sell in the UK. Some admittedly are copies of the iconic US brands (then again everyone seems to copy Fender and Gibson), some are quite Ibanez ‘shred’ like but many are totally unique shapes and styles. Take electrics; I particularly like Patrick Eggle electrics in design and finish (the British PRS?) and guitars from companies like JJ Guitars are just gorgeous. Some have unusual designs that are not to my taste (Flame Guitars come to mind, although I do admire them for being fully individual). But having said that they are all great guitars that are ‘bespoke’ and being British, they will be quite rare and unique. So why don’t more of us buy them? I can understand why more of us don’t buy British acoustics as the only ones available that are made here are low volume, largely hand built guitars at huge prices; yes, they will be worth it in terms of sound, playability and beauty but if you are in the market for a UK built acoustic costing £500 – £1200 you’ll be looking for a long time! Back to the electrics. 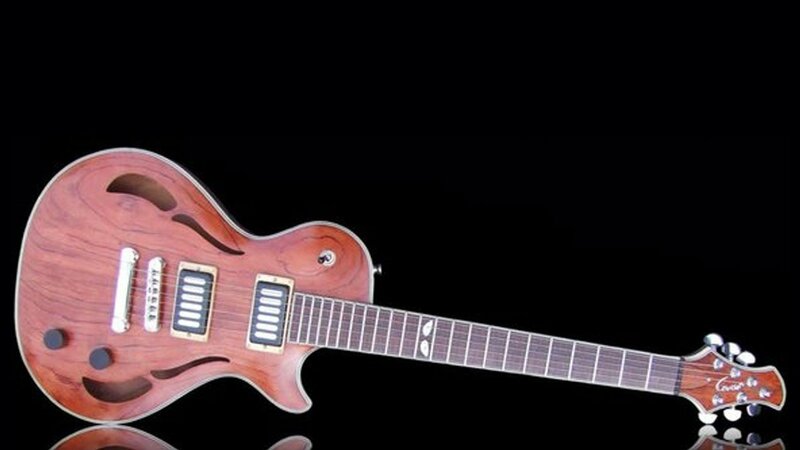 You can get a decent UK built electric for £750 – £1000 from a number of makers including Gordon Smith (who have a new lease of life under new owners), but if you want a largely/fully hand-made solidly designed and built electric guitar that will last a lifetime then for around £2000 Jaden Rose, JJ Guitars, John Birch, Flame, Eternal, Gordon Smith, Lindsay Wilson, Lines Guitars, Patrick Eggle, Rob Williams, Vanquish and Sabre will make and sell you one. Being low volume it will be unique and special to you. Is £2000 a lot? Not if you compare it to a US made Gibson, PRS or Fender. But there is the rub; these are made in the home of rock ‘n’ roll – the USA – and we all want their name on the headstock don’t we! Are they better? I would doubt it but that is all down to personal taste. Whilst some of the UK makers may equate to Morgan cars (and there is nothing wrong with that) many equate to Jaguar or Aston Martin and these surely compete with the prestige car marques that we all want? So if you are in the market for a high end guitar please check out the British boys (and girls).